Welcome to the first post of September! Kids are back at school ( just today) so let’s do this! 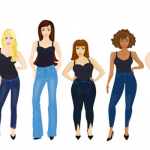 Fall is the ideal time to up your denim game by ensuring your jeans are the best fit for your body shape. 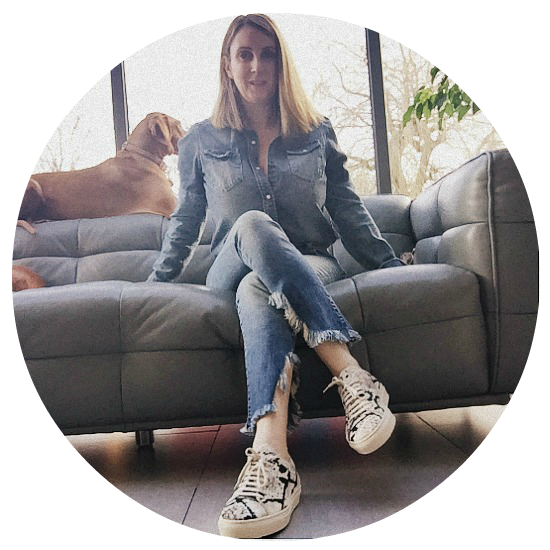 When we look good in a pair of jeans we feel confident and this season is all about getting those good fitting jeans. 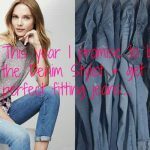 So I thought to do a refresher post on the foundations of shopping for jeans. 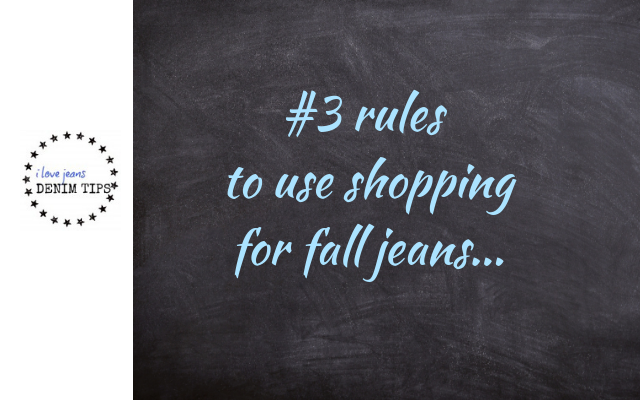 This is the #1 rule of shopping for jeans and in fact any trousers. Think of it like going into battle, you wouldn’t turn up unprepared would you! 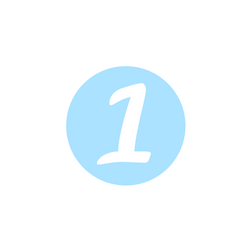 So do this before you even start looking online or step into a shop, be prepared! Now watch and follow this video. 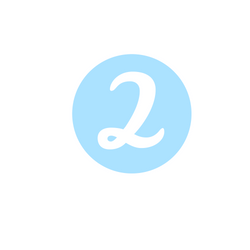 The #2 rule of shopping for all clothing is to ID your body shape. Now, this can be emotional as lots of us ( me included) wished we were smaller or bigger in various different places ( you know where). However, we have to deal with the ‘here and now’, look at yourself today and say I’m glad to be me! This goes hand in hand with your body shape. 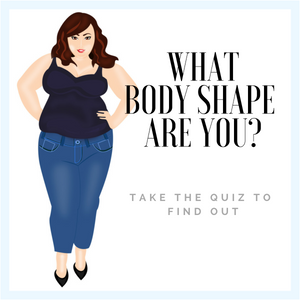 Now take the Body Shape Quiz below and be as honest as you can be to get your result! 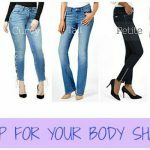 If you happy with the jeans you have and would like to keep to the same style then take a ‘blueprint’ of what makes these jeans so great for you! Makes sense right, shop for what makes you feel good. The measurement from the top of the waistband down to the bottom of the crotch seam. 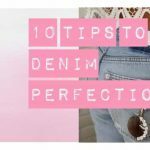 If you are unsure of where your new jean will sit on your waist measure from the crotch upwards to the top of the waistband. This will give you the correct measurement of where the jeans you are looking at will sit on your body. Remember, you may want to make a note of this measurement. 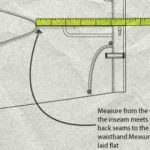 The inseam is the measurement of the inside leg to take this measure from the crotch down the leg to the ankle. Take the measurement from the smallest part of your waist which is your natural waistline, above your navel and below your ribcage. Measure straight across. Note that your actual waist measurement will not equal jean waist size. 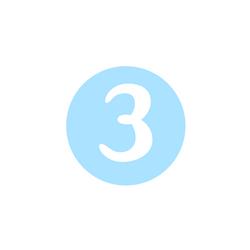 For example, a person with a 26-inch waist typically wears jeans with a 28-inch waist. Stand with your feet together take the tape measure around your bottom and measure the fullest part of your hips at the top of your legs, approx 9 inches lower than your waistline. This is the measurement that will tell you how wide the opening of the leg of your new jeans will be. Measure the circumference of the bottom of the hem. 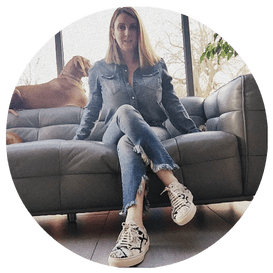 This post is open for comments and questions about shopping for new season jeans, feel free to comment below as I’d love to hear from you! 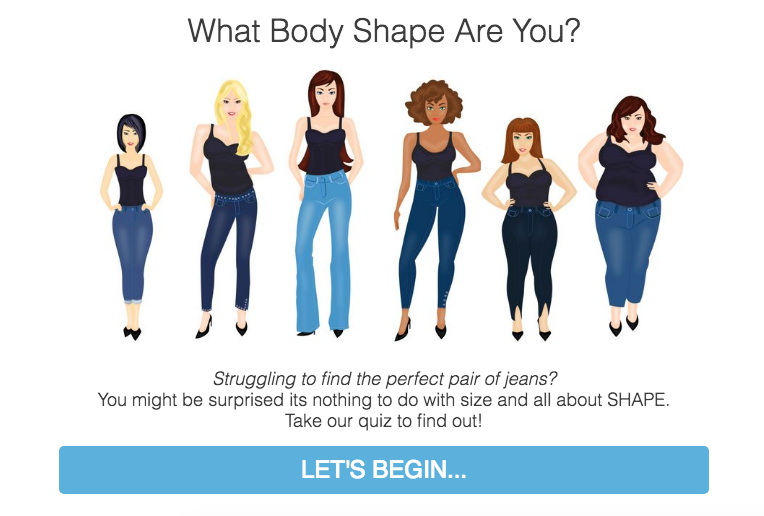 THIS YEAR I PROMISE TO…..
WE WANT A JEAN FOR OUR APPLE BODY SHAPE!